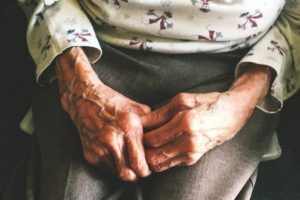 People in Tennessee with arthritis and other rheumatic conditions confront pain in their body, and in their lifestyle, according to a report card released this month from the American College of Rheumatology. The college gives Tennessee a C grade in terms of quality of life and access to certified doctors in rheumatic disease, which is the grade most states received. But Dr. Christopher Mecoli, a rheumatologist at The Johns Hopkins School of Medicine, says the state gets a D grade in affordability because most insurers require patients to pay for a percentage of their prescription cost, versus a flat rate. Rheumatic diseases include arthritis, gout and lupus, and 100 other conditions. The conditions impact 1 in 4 Americans, and the most recent numbers estimate 91 million people, including individuals who may be undiagnosed. Mecoli says that around 300,000 children have rheumatoid arthritis and adds there’s a shortage of people in Tennessee trained to treat children. Nationwide, there is one rheumatologist for every 40,000 people, but in Tennessee there is one for every 55,000 people – making treatment particularly hard for the state’s rural communities.